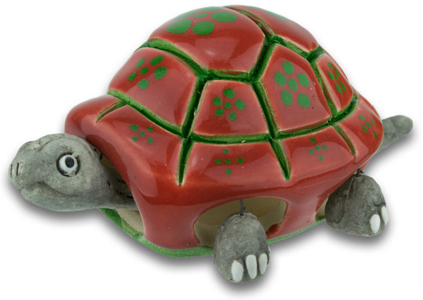 Our clay handicrafts are produced using traditional ceramic techniques by skilled Peruvian artisans. Every piece is hand painted and fired twice in high temperature ovens to harden the clay and give the painted details a beautiful glazed appearance. The family owned workshop where they are made is located in the outskirts of Lima Peru. Aid to Artisans through a USAID funded project was instrumental in the initial product development and also assisted in locating outlets for their work outside of Peru.